The MDS SD Series of industrial-strength radios offer secure, reliable, long distance transmission of data for your mission critical applications. The SD Series combines 5 Watt transmit power and exceptional receive sensitivity to support wide coverage areas and maximum performance when difficult terrain or obstructions such as trees and buildings limit the effectiveness of other wireless devices. 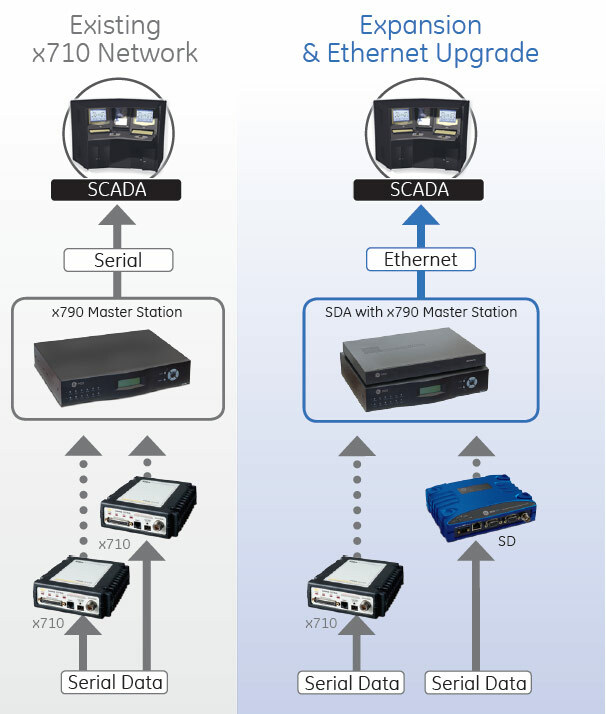 The SD Series operates in the 100 MHz(SD1), 200 MHz (SD2), 400 MHz (SD4) and 900 MHz (SD9) frequencies and allows users to select the channel size and modulation option best suited to their unique requirements. The combination of these features results in the ideal data acquisition product for error free, long distance communication. The SD1 radio operates in the 100 MHz frequency band, SD2 radio operates in the 200 MHz frequency band, SD4 operates in the 300 and 400 MHz frequency band, and the SD9 operates in the 900 MHz frequency band. 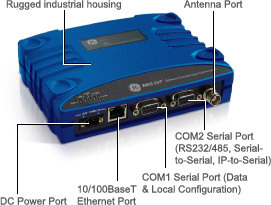 Choose between models that support both Ethernet and serial, or only serial interface. The SD Series handles concurrent Ethernet and serial traffic using built-in terminal server plus industry- standard TCP or UDP protocols. 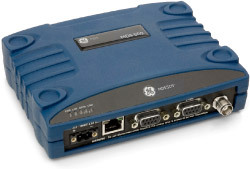 The SD Series handles concurrent Ethernet and serial traffic from multiple sources. Directly communicate to multiple PLCs using the built-in serial device server and modem-sharing device using industry-standard TCP or UDP protocols. The SDxP is used when applications demand no single point of failure for the communications system. The MDS SDxP incorporates two MDS SD transceivers and power supplies with automatic or manual switchover capability. On detection of a failure, the MDS SDxP switches immediately to the standby transceiver. The switchover occurs for selectable transceiver alarm conditions. Switchover also occurs when no valid packets are received in a time frame of 1–30 minutes, or upon loss of power to the operating radio. An internal backup battery is provided in AC-powered models for continued operation during a loss of primary power.